Could your name soon be the one to drop in dubstep circles? 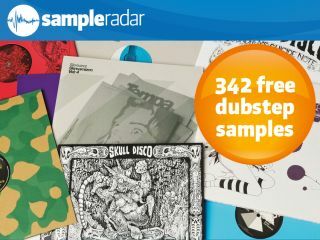 Welcome to SampleRadar, MusicRadar's new weekly giveaway of pro-quality, royalty-free samples. We'll be offering you loops, hits and multisamples in a wide range of genres, and you won't have to pay a penny to download any of them. Our first theme is dubstep, the much-talked-about style that features elements of garage, grime and 2-step. One of the great things about dubstep is that you don't need loads of gear to create it - in fact, many of the scene's most prominent producers make their music at home using little more than a computer and some software. The samples are split across five construction kits, each of which contains beats, basslines, synths and more. Use them together or pick and choose just one or two loops - it's completely up to you. The dubstep kits are supplied as separate zip files, so you'll need to extract them before you can see the samples. Enjoy!